Happy Friday! Welcome to the Brown Sugar Challenge! This week the theme is buttons and bows. Our sponsor this week is Floppy Latte Design. 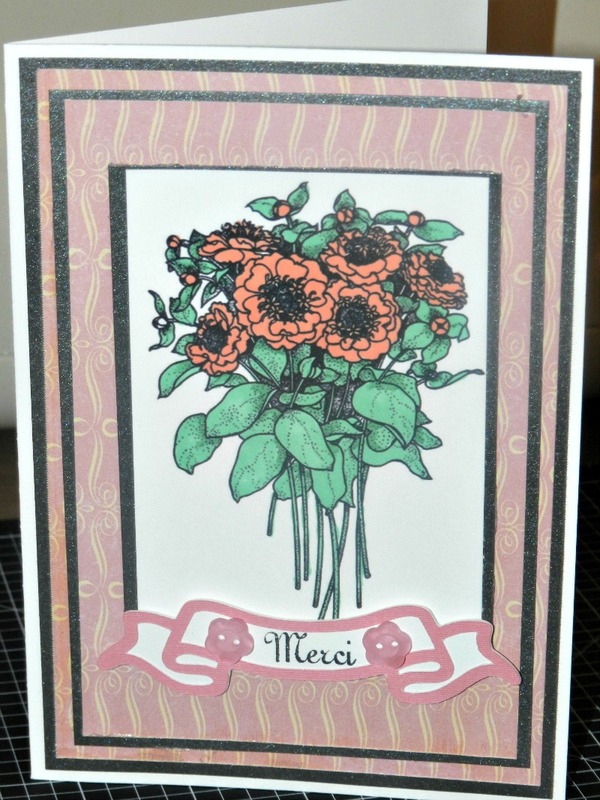 For my card, I used the Fanciful Bouquet image. I recently purchased some Prismacolor markers to see if I would like them. They color beautifully! I still like my copics for skin tones, but Prisma and Promarkers are great for general coloring. I used DCWV Tres Chic paper stack. 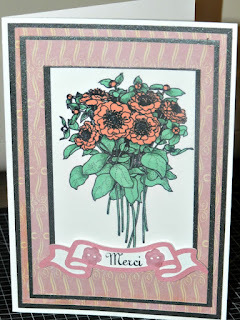 I used the Cricut Artiste for the banner and used the Sweet 'n' Sassy To Paris With Love stamp set for the sentiment. I add two buttons that I got from CTMH. Head over the Brown Sugar Challenge blog to see that my fellow DT members have created and don't forget to play along with us. Your card is so pretty! Excited to be on the DT with you. I'm a,new follower. Hi,Stopping by from the Red Carpet Facebook. New follower, come by and get you some puddin n pie. Very pretty!! I love this, nice work!! !